Both titles feature lucky Japanese characters. In the games, scattered wilds appear randomly or when triggered by a special symbol on reel five. 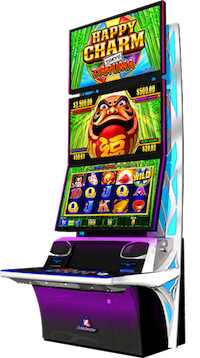 Each scattered wild that overlays a wild appearing on the reels triggers the jackpot feature allowing for multiple jackpot wins. The chances of a scattered wild appearing is increased during the free games.